Behind a window in Amsterdam’s desired Red Light District, Samantha practices the art of seduction. Man after man, she controls them, seeking what they both want. But behind the façade of the glass, lies her truth waiting to be uncovered. An inner battle of light and dark takes place as Sam learns to release the past and truly live the beautiful tragedy that is life. Ever since I participated in the cover reveal for Red Lights, Black Hearts a month ago, I've been excited to start reading the book itself. I read and reviewed another of Fabiola's books, Sweet on Wilde, last year, and was looking forward to getting to know more of her work. On the surface, Red Lights, Black Hearts is a contemporary romance. Our main character, Samantha, is one of Amsterdam's infamous Red Light girls - but she has a dark past filled with long-buried secrets. Over the course of the book, we gradually learn more about Samantha's past and discover the path that led her to where she is at the point the book begins. The role of love interest is fulfilled by German businessman Max. At this point I've got to be honest - I didn't see much of a connection between the two. Max is billed as an almost otherworldly hero-type character, full of wisdom and advice, spouting Paulo Coelho quotes at every turn. Because of that he just felt kind of unreachable, as though he's too perfect to be entirely human. The whole 'sun and moon' analogy didn't help with that either. As you'd expect from a book so heavily infused with Paulo Coelho, there was a lot more philosophy and deeper meanings than I was expecting. As much as anything, Red Lights, Black Hearts is a story about discovering yourself. In fact, the biggest story in this book is Samantha's internal journey; the romance is much more of a sideline. It's not a true romance novel, but it doesn't suffer for that. Instead, this introspection helps make the book stand out from its contemporaries, and establishes the author as much more than just a romance writer. Red Lights, Black Hearts is available to buy now. That is until she is rescued by a new friendship with the enchanting Valentina. A hauntingly intelligent, addictive psychological thriller from debut author S. E. Lynes. 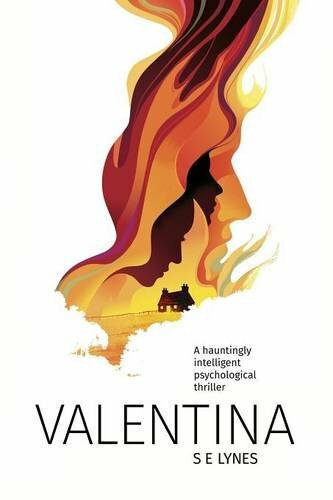 Valentina is one of those books that cries out to be read in one sitting. It's full of fast-paced and tense writing that grips you from the very beginning. The setting fits the story perfectly, with the remote wilderness and bleak beauty of Aberdeen and the north of Scotland adding an extra layer of intrigue to a plot already brimming with suspicion. I always think that thrillers which are so anchored to their sense of place are vastly more effective than their less location-heavy counterparts, and wild rural settings are a particular favourite of mine. I definitely feel that Valentina was influenced in part by the Nordic Noir crime sub-genre of fiction - in fact, the bare bones of the story wouldn't feel out of place in a dark Scandi thriller. That leads us on to the plot. It's hard to really talk about the story without giving away unintentional spoilers which would (as the name suggests) completely spoil the reading experience. All I will say is that it's extremely well done. The twist is sudden and completely unexpected; the consequences and aftermath shocking to such a degree that you almost enter a dreamlike state as you read on to the end of the book. It's perfectly paced, with just enough tension to keep you on the edge of your seat without turning into a breakneck ride. Our two main characters are Shona and Valentina. On the surface, the two couldn't be more different, but as the story progresses we start to unravel their characters and learn more and more about the intricacies of their personalities. It's hard not to feel sorry for Shona. Arriving in a completely isolated place away from family and friends, without a job, and with only her baby daughter for company, the way Shona latches on to her friendship with Valentina like a lifeline is in equal parts sad, endearing, and understandable. I found myself rooting for Shona; wanting her to succeed in her new life and overcome her hardships. Valentina is a stunning debut novel which more than lives up to the hype surrounding it. A definite must-read! Valentina is available to buy now. Have you read Valentina? Let me know in the comments below! So when I was offered the chance to review it, I thought - why not? I'm always willing to give any book a go, after all. Wow - what a way to kick off the anthology! This story was my joint favourite from the twelve. Right from the start it has the slightly off-kilter vibe that's usually only reserved for horror, but actually works really well here. It survives on the idea of taking something mundane and twisting it just slightly to make it seem normal on the surface, but with a deeper, yet low-level, hidden element to it. It's very well done and expertly written - the only thing is, it threw me a little because Bardugo writes in a very similar style to my own fiction which for me made the story even more disconcerting! I liked the simplicity of this story. There's nothing particularly complicated going on, and sometimes the simplest of plots can be the best. It was relatable and managed to hold my interest. My only downside to this one is that I felt it kind of fizzled out towards the end. Still - in amongst all the fancy ideas and clever storylines, The End of Love's simplicity is golden. Horror's not usually my thing, so even though this was more comic horror than horror horror, I was still pleasantly surprised to enjoy it as much as I did. The whole idea was really inventive and original, and the author managed to carefully cultivate that necessary feeling of suspense throughout perfectly. I also loved that it plays so much on all those old cliche horror stereotypes - it shouldn't work, but it does anyway. I have to admit, I wasn't particularly sold on this story. In fact, it was actually my least favourite of the lot. As I've not read any of the author's other work, I did a bit of research and from what I can see, Block seems to be very much one of those 'love it or hate it' kind of authors. But unfortunately, I couldn't get into it. The fact that the characters were only referred to by their initials confused me to begin with as I kept forgetting who was who. I wasn't a fan of the ending either - the whole story just seemed to be going in circles and seemed to lack a clear direction. It wasn't for me. This was much more the kind of thing I was expecting to be reading in this anthology. Cute and sweet, playful, a dash of humour, and that all-important Happily Ever After. What's not to love? If we're just going in terms of the writing style, this was one of my favourites. Federle has a great writing voice and his descriptions are incredible - without being overstated or overly descriptive, I could picture everything perfectly. I also loved the characters in Souvenirs. The two are so different which makes for great drama within the story, but still stays true to that age old saying - 'Opposites attract' - and in this case, they do. Also, for a bibliophile, the continuing literary theme and references to Dickens were a lovely added bonus! My other joint favourite. This story is great because it uses such a simple concept in an incredibly original way. I don't want to talk about it because I don't want to spoil it for you, but be warned, this one is a massive tear-jerker - it had me in floods of tears! If you only read one story from this anthology, it should be this one. This was a sweet but heartfelt story that, for some reason, has really stuck with me since I finished reading it. It's one of the most realistic offerings in the anthology, and it boils down to two of the simplest yet most common themes in everyday life. In its purest form, this story deals with love and loss, and it does so remarkably. Right from the start, I loved the premise of this story. I've always been a little fascinated by stories about carnivals, circuses, and fairs (ever since reading about them all in various Enid Blyton stories as a kid) so as soon as I saw the setting for this was a dark carnival, I was hooked. I loved the motley mix of carnival folk and the way that the author is able to create such a vibrant and full world in a story this short is a credit to her skill as a storyteller. The characters are great, the setting is great - the only thing that ever so slightly let this one down is the plot, which I felt got a bit convoluted towards the end. Still, I enjoyed it nevertheless. This one is by far the sweetest story of the lot. Our two main characters are just adorable and are clearly made for each other. Again, I'm wary of giving away spoilers, but stick with it. It's a little slow going in places, but overall it's a lovely story with an important message. I was really looking forward to this one, purely based on the title. I was sincerely hoping the editor, Stephanie Perkins, had been saving the best 'til last. Sadly, I was left underwhelmed and a little disappointed by this story. I think the biggest problem for me was the entire concept. Being honest here, I'm not exactly a fan of the whole Groundhog Day idea. It's irritating and unoriginal, and this story was full of plot holes - it's like any possible logic just flew out of the author's window. Its saving grace was the characters and the idea of the actual map of tiny perfect things. In itself, I thought that was a great idea. I just wish the author had been able to write about the map without having to resort to the Groundhog Day cliche. As a whole, this collection includes some absolute gems. The beauty of short stories is that they're easy to dip into and much easier to read than a traditional novel. 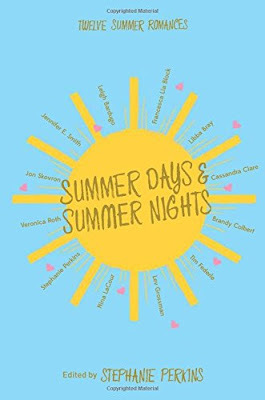 Summer Days and Summer Nights is one of my reading highlights of the year so far, and the book is available to buy now - I highly recommend it! What do you think of short stories? Let me know in the comments below! Maia Starfield is on the run, having successfully hidden her ability to create silver just by singing - until government thugs arrived to take her away. Her mother sent her out the door just in time, giving her only one piece of advice: Find Dr. Martus. Albert Martus has no idea why Maia was sent to find him - the doctor who delivered her 17 years ago. But from the moment she turns up, his story becomes intertwined with hers…as it has been since before she was born. Follow this unlikely team as they discover the truth about the past and their present, the regime known as the Brotherhood, and the magical and ordinary power they each carry deep inside. After a run of reading children's books, Nancy Norbeck's The Silver Child came as a welcome change and variety in my reading diet. It's a YA story - an intriguing blend of sci-fi, dystopia, and fantasy. Norbeck said she originally got the idea for the novel from a one sentence writing prompt - "The baby had been born with..." - as her first thought to fill in the gap was 'a silver spoon'. In itself, I think that's a really interesting idea. I'm always fascinated by the origins of common but quirky phrases like this, and the fact that Norbeck has managed to craft an entire book from that one phrase is great. Another thing I really liked about this book were the religious and mythological angles to it. On the surface, Maia's world is similar to our own, though her cities are governed by the sinister Brotherhood. It was refreshing that the necessary religious exposition wasn't info-dumped on us right from the start, as this has a tendency to happen in dystopian fiction where the author feels the need to categorically introduce the reader to every different aspect of their world from the start. Instead, Norbeck drip-feeds us snippets of information bit by bit, so we slowly begin to find out more about the Gods and the legend of the Silver Child, learning more as we progress further through the story. At the end of the day, this story boils down to the age-old fight of good versus evil - the rebels versus the Brotherhood. But it's the constant reminder of the religious legends, which are continually referenced and therefore constantly in the back of the reader's minds, which makes it stand out. Maia is special and she has a unique gift, there's no doubt about that, but she isn't defined by that gift. Even upon learning of her destiny as the Silver Child, there's no self-importance or snobbishness about her - she's the same person she always was, and I respect that. Doctor Martus, on the other hand, undergoes a complete change of character. When we first meet him, he likes to keep himself to himself and does his best to stay out of harms way. Then, without giving away any spoilers, a series of events happen which cause him to change his entire outlook on life. Martus is definitely the person with the biggest character arc in the entire book, which is interesting as he isn't the main character. Again without giving things away, the plot follows the natural progressive arc you'd expect from the genre. It may be a little slow-going at times, but I'd urge you to stick with it because things definitely get going in the second half of the novel. Plus the final part of the book, where everything comes to a head, features some really well-written scenes. Norbeck manages to marry action, chaos and dread with that horribly tense feeling of waiting - it's very well done. 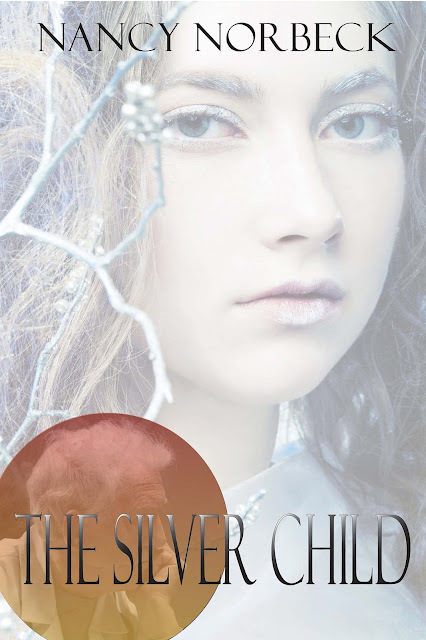 The Silver Child is available to buy now. For more information, visit Nancy's website or follow her on Twitter. I'm not usually one to talk about politics, but it's not hard to see the poor state the country is in after the results of the EU referendum and the subsequent fallout from the Brexit vote. For everything else it has done, the referendum has pretty much split our country in two. I'm sure you're all as sick of hearing about politics as I am at the moment, so I'm not going to go on and on about it. Instead, I'll just leave you with a few tweets I've come across that sum up my feelings about the whole thing very well. 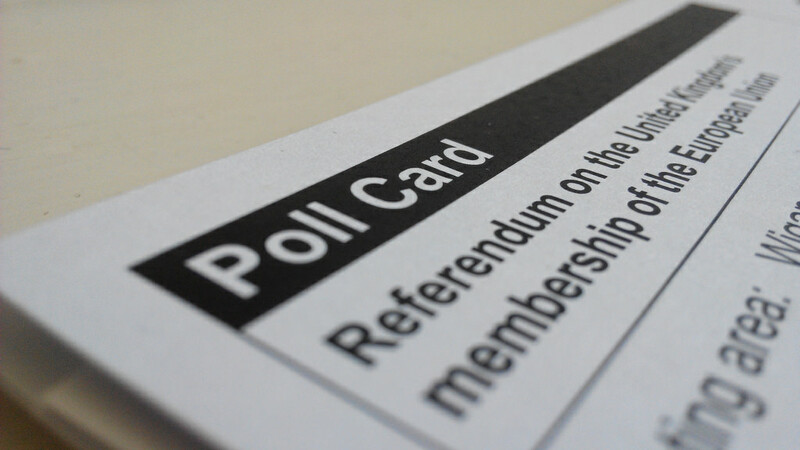 Demonising leave voters won't change the result. Demonising others is what brought us here, let's stop & try to understand what divides us. Since the general mood in the UK is so low at the moment, with leave and remain voters constantly at each other's throats and the political parties in upheaval, what we need is something to restore our faith in our country. I've had a think and put together a list of 20 people who will hopefully restore your faith in the UK and its citizens. And yes, they're all true stories and situations that I've personally encountered. Sometimes the smallest everyday acts of kindness and compassion are the ones that stick in your memory. You are the reason I still have faith in the UK. Have you encountered any random acts of kindness? Let me know in the comments below!